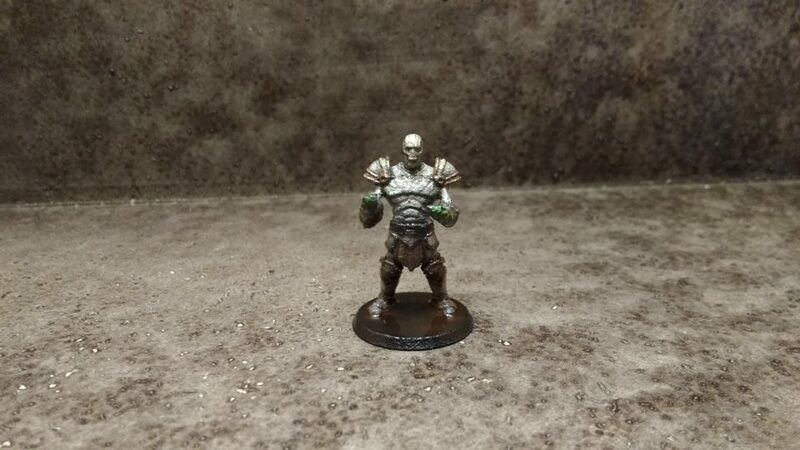 Two years ago I ordered a custom miniature from Hero Forge for one of the players in my Broken Covenant campaign. I went with the strong white plastic (not sure it’s even available as a material anymore) and, despite that, it ended up being the most expensive miniature in that scale that I’ve ever purchased. Pricing in general has decreased at Hero Forge since then but it’s still far more expensive than most other miniature options. What you get for the added price is the ability to completely customize the miniature – totally worth it for a player character in a long campaign, not as worth it if you’re hoping to make a entire race or are only using the character infrequently. In any case… This was a strange material to paint. It was very absorbent, really sucked up the paint layer after layer, but remained rough on the surface. It was still fun to paint despite it all. If I had to do it over again I’d probably go for a higher grade material from Hero Forge (it looks like their selection of materials has improved over the last two years). Norach’s legacy of hugs will live on forever. At least among the mephits.